Coworkers. They can help you, give you gifts, or take you to lunch. If you are working a full-time job away from home, you may be spending more time with your coworkers than your family. 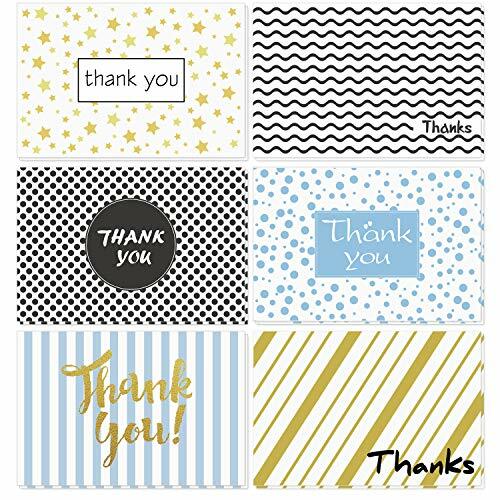 Take a few moments to let them know they are appreciated with a thank you note. There are general examples below for when they help you or do something nice. Then there are sections for wedding and baby gifts that come from coworkers. If you are thanking one coworker I recommend a handwritten note. Most people love to display them on their desks! If you are thanking a group of co-workers, I recommend sending one email to the entire group. Another way to thank them is to let the boss know what they did for you! If you are leaving your job, check out the examples to thank your coworkers here. Thank you for covering my work while I was out. I was glad to be able to turn over [project name] to you without having to worry about it. I see you did an excellent job handling the details. The client is pleased! I appreciate your help with figuring out the problem with my logic in the custom programming. I was stumped and your solution was perfect. I am thankful that I can rely on you as a resource. Thank you for taking me to lunch! That was an unexpected surprise. I enjoyed visiting with you and learning more about your kids. Also, [restaurant name] is one of my favorites! The magnet you give me is awesome. I love that it is purple and also functional. You know how I feel about clutter! The magnet is also powerful enough to hold up the TPS report. Thanks for bringing in treats for the team every Friday! Your baked goods are delicious and I look forward to them every week. They are the best part of Friday! I am grateful for the excellent process you guide you made for my team. You added details shots that should make the clear for people new to the process. I appreciate all the time and effort you put into it. Thank you for being available whenever I need to talk through a problem. Talking with you helps us get to the solution faster. Your insights have saved me hours of time! I am thankful that we are on the same team. Your help in explaining how the customers are set up has been beneficial. I am being confident in learning the new material because of your assistance. Thank you for being patient with all of my questions! Thank you for explaining the aspects of your special project last week. My team should be able to adapt the process for another customer that wants something similar. Your time was well spent and will save us many hours of design time. I want to thank you for giving me a ride to pick up my car at the tire store when I had the unexpected flat tire. The tire place was not on your way home, but I am thankful I didn’t have to ask someone else. I will treat you to lunch soon! Thank you team, for the wedding gifts. The shower was a nice surprise. The kitchen utensils are wonderful and will be helpful once we are married and cooking our own food. We’ve been spoiled by our mothers! The gifts you choose for us are perfect. We will enjoy [list out the gifts here]. We appreciate your generosity as we start our life together! My husband and I thank you for the wedding money. We will use it towards a dining room table set. We hope to see you all at the wedding! Thank you for the food processor and blender set. I am excited to use them for food prep and making the dressing. It was very nice of you all to contribute towards gifts for us! We thank you for the wedding shower and gifts. The cake was great and we love the flannel sheets. Also, thank you to all of you for covering my work while we are on the honeymoon! I am excited to try out cloth diapers when the baby comes. I had no idea there were so many different brands. Thank you for providing a wide selection. I will try them all to see which ones baby and I like best. Thank you for the Pack and Play. This will be wonderful to have when we visit family. I’m happy to work on such a generous team! The little toys are cute too! The outfits for the twins are adorable! I love the colors and that you found cute stuff for boy/girl twins. Thank you so much! Thank you for the baby gifts. The toys are interactive which seems like a good thing these days. Thank you for your support as my husband and I begin a new chapter in life with our first baby! Wow! Thanks for the stroller. I plan to walk every day once the baby comes. Is that realistic? We can have baby chats once I return to work! Thanks again! Do you write a thank-you note for lunch?